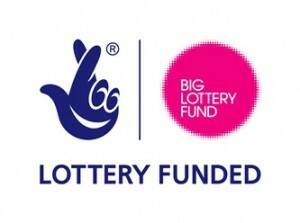 As part of Priority 2 of the Allenton Big Local Plan, we provide funding to the Enthusiasm Trust to deliver activities for young people in Allenton, which includes a youth club held on Tuesday evenings at St Martin’s Community Centre. You can find out more about the youth club by watching the Local Trust video below, which was filmed last summer. The youth club provides a safe environment for the young people to meet in the Allenton Big Local area. The young people who attend the club enjoy spending time with each other and taking part in the wide range of activities provided. Some of the sessions are delivered with help from professionals or experts brought in to provide interesting activities that showcase new skills to the young people to widen their interest, broaden their goals and develop their confidence. Between September and December 2016 a wide selection of activities were on offer, such as arts and crafts, ball games, Xbox games, musical activities including musical statues and musical chairs, a health promotion night delivered by a student nurse who worked with the young people to make fresh smoothies, and a movie night with popcorn and other refreshments. 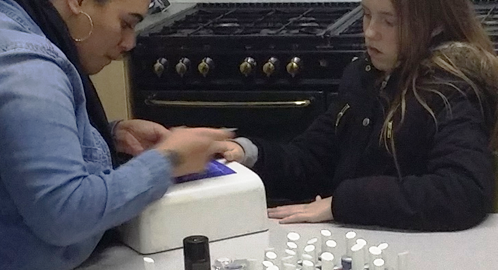 A professional nail technician also came along to the youth club to do Christmas nails for the young people. You can read the latest Life Skills report from Enthusiasm on our website. If you live in the Allenton Big Local area and are interested in joining the Tuesday night youth club at St Martin’s, contact Enthusiasm on 01332 362479.